During restaurant week we will be offering two fish and chip meals for £10 in the Cafe. Go to the bottom of the page to claim this offer! 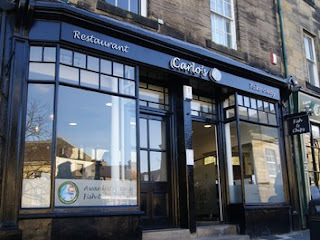 Carlo's Fish and Chips is situated in the very heart of Alnwick Town Centre. We have a Two Storey Restaurant, a Take Away Counter and you can even book Carlo's Fish and Chips as a Party Venue. Please call us on 01665 602787 to discuss any bookings. We strive to give all our customers an enjoyable experience. Pay us a visit and we are sure you will be satisfied. At Carlo's Fish and Chips you will find a warm welcome, mouthwatering menus and a thoroughly satisfying meal. You're sure to enjoy every visit.